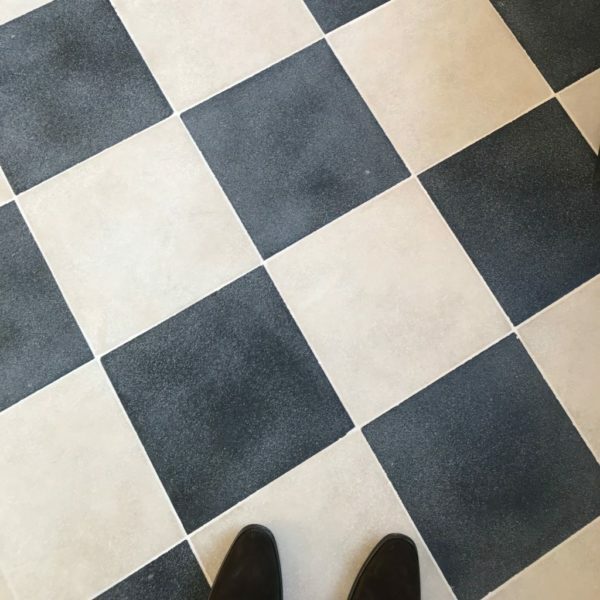 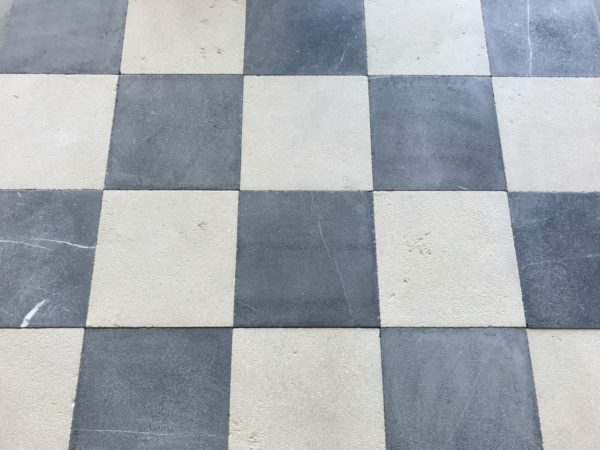 Stone floors in “black and white” check (or make your own pattern) in antiqued finish hard limestone. 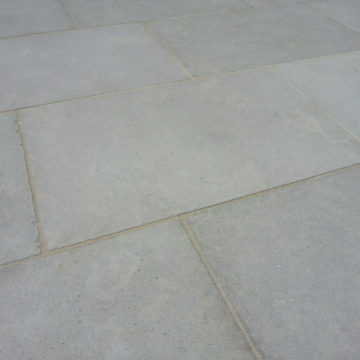 Format is 30cm x 30cm (almost 11.8 x 11.8 inches) x thickness 15mm or 20mm. 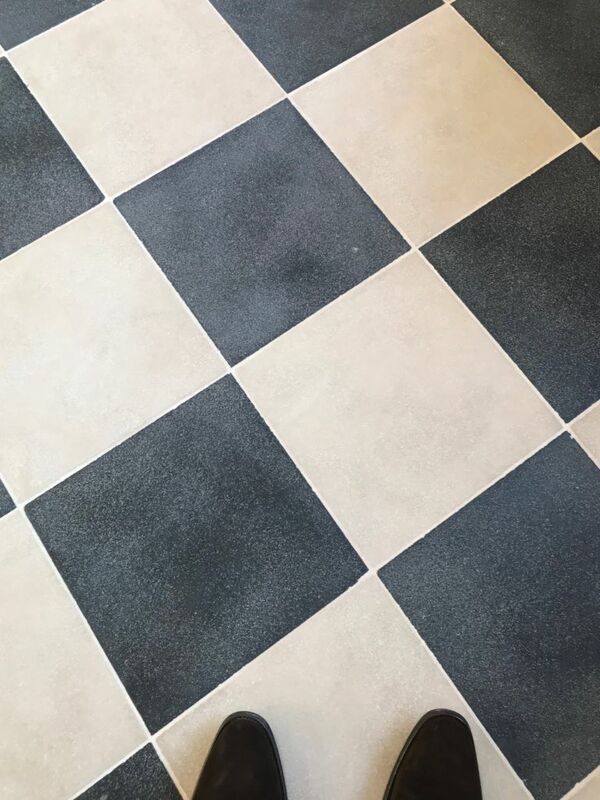 The limestone is the same as the Cathedral and Patrimoine floors with black “cabochon” corner squares, the hexagons, and is the same stone as the EOS which is perfect for making borders. 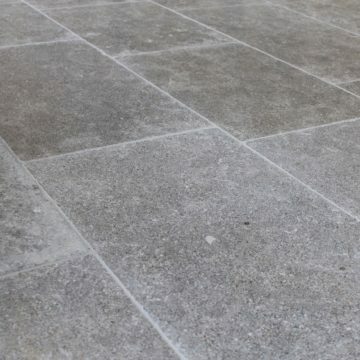 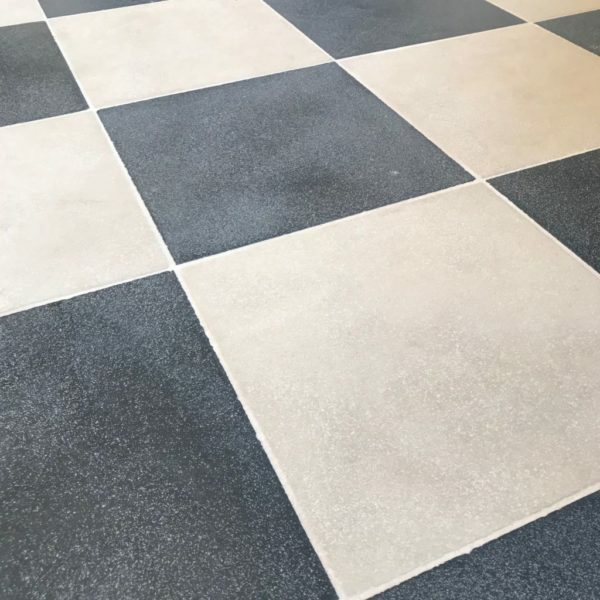 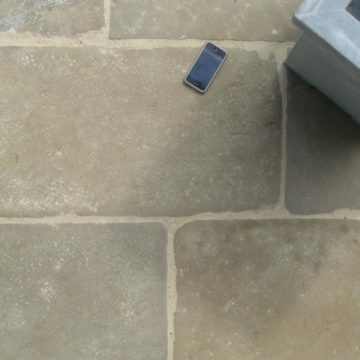 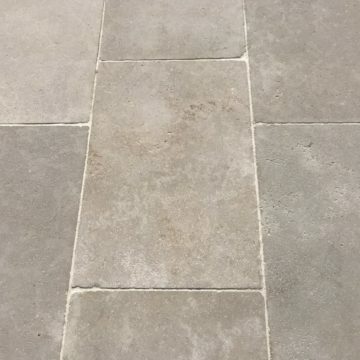 This new natural stone flooring convincingly replicates historic old stone floors.